Recent developments in culture media have given rise to the use of chromogenic substrates as a means of differentiating bacteria particularly among the coliform group of organisms. This medium was developed as a selective medium for the isolation and enumeration of Escherichia coli and coliforms in food and water samples. 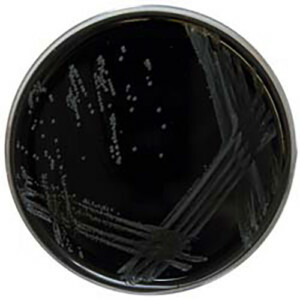 Escherichia coli can be easily differentiated from other coliform organisms by the presence of blue colonies with the other coliforms producing red colonies.